burial clothes for twins two complete sets of baby burial gowns . gathered edge at the feet and comes complete with a bunny ears hat to dress babies tenderly in. 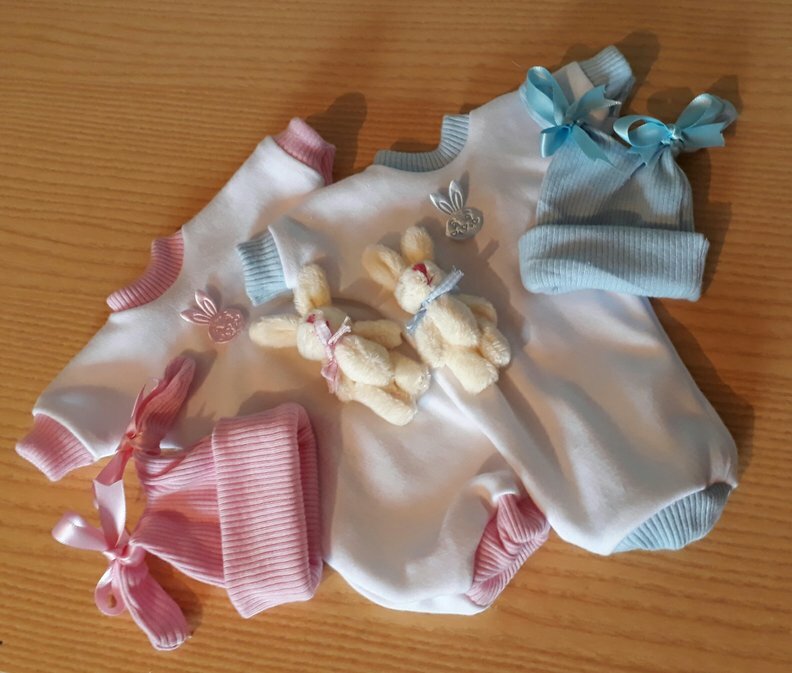 something special and quick to dress your little babies in finished off with a most scrumptious bunny rabbit to hold in their hand to keep them company forever. The sad loss of an infant is devastating enough to parents, so worrying about finding something suitable to lay baby to rest in is so important to the family. White is a symbol of purity and innocence. click the green button below to order these 2 bunny rabbit sets.